​Most language learners have tasted more than a little humble pie when trying to translate something from their native language. But these minor, very human mistakes can become international incidents when improperly handled by professional translators. Let’s take a look at a few mistranslations that have had far-reaching consequences and see what lessons these famous blunders have to offer language learners trying not to get lost in translation. 1. Jimmy Carter got a little too friendly with Poland. On a 1977 New Year’s Eve visit to Warsaw, Jimmy Carter’s ​interpreter contributed to one of the most embarrassing moments in US diplomatic history. Carter had intended to convey friendly “desires for the future” but his translator ended up using a phrase that communicated sexual desire and went on to discuss “grasping for Poland’s private parts.” His translator, Steven Seymour, specialized in Russian and, as you can imagine, this was his first and last job translating Polish. Translation tip: Jimmy Carter’s Polish kerfuffle is a good reminder that even when languages have related roots, it’s best not to assume you can wing it. 2. A mistranslation created the enduring idea of Martians. In 1877, an Italian astronomer named Giovanni Schiaparelli noted he had seen what appeared to be canali, on Mars. This term, discovered some years later in his writing, was interpreted to mean canals and sent budding scientists scrambling to identify the life on Mars that could have created such canals. Unfortunately, the ​Italian word canali is just a general term to describe ​channels, which can be part of the natural terrain and not necessarily man-made. The idea of life on Mars, however, has long outlived the legend of this mistranslation. Translation tip:If it sounds too good to be true, it probably is. Don’t expect that words spelled and pronounced similarly in another language will have the same meaning. 3. A premier’s choice of phrase turned the Cold War a little frostier. 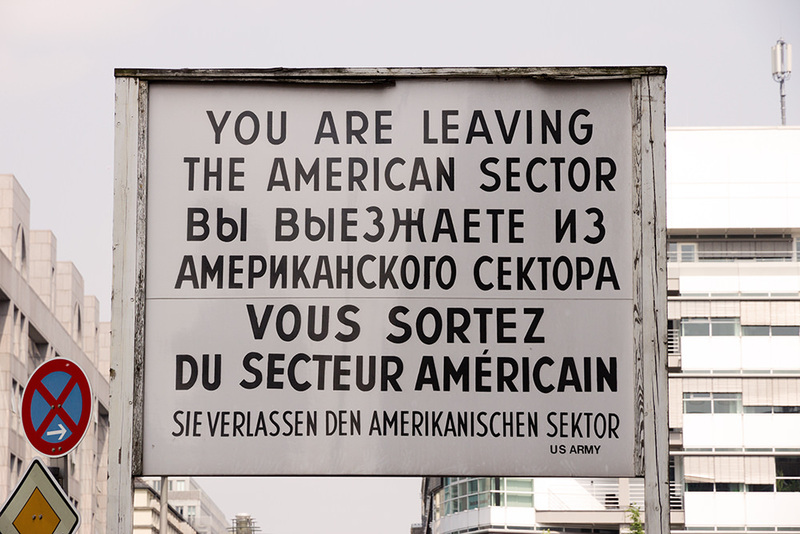 ​A U.S. military sign at the Berlin Wall during the Cold War​, in English, Russian, French, and German. Soviet premier Nikita Khrushchev gave a rousing speech in 1956 about the merits of communism that unintentionally turned the temperature on the Cold War frigid. One of the phrases he used, a Russian idiom My vas pokhoronim, was translated to mean “we will bury you” and certainly sounded like a threat to the United States. It’s a common Russian saying and refers to the idea that something will endure or that you will survive to see the funeral. Delivered in Khrushchev’s blustering style, it went down in history as a misunderstanding that escalated the Cold War. Translation tip: As many foreign speakers have learned the hard way, idioms don’t always translate well. The overall meaning in context of an idiom is usually more accurate than the individual words. 4. The word that cost $71 million. When 18-year-old Willie Ramirez was admitted to the hospital in a coma in 1980, his family, who spoke Spanish, described him as intoxicado. While the interpreter translated this as “intoxicated” or drunk, the word refers to being poisoned or ingesting anything that has made you sick. Ramirez actually had bleeding in the brain but doctors wasted precious time trying to treat his symptoms as those of an overdose. The delay in his treatment resulted in Ramirez being a quadriplegic and his family sued and won a $71 million settlement. Translation tip: If you’re not sure, it’s always useful to ask more questions or get a second opinion. Especially when translating during emergency situations. 5. The ad campaign that did nothing. HSBC bank had a famous slogan, Assume Nothing, that communicated their strategy about investment and worked well for English customers. Problems arose when they launched an ad campaign in 2009 and took their business to international markets. In many languages in Europe and across the world, there was no equivalent phrase and Assume Nothing was widely mistranslated as Do Nothing. HSBC ended up spending $10 million to reframe and rebrand their ad campaign with a slogan that worked in both national and international markets. Translation tip: For some phrases or concepts in your native tongue, there just won’t be a catchy equivalent translation no matter how hard you try. 6. Mistranslations are like a box of chocolates: you never know what you’ll get. In the 1950s, an executive at the chocolate company Morozoff decided to bring Valentine’s Day to Japan. It had been a success in the States, but the executive had misunderstood that these chocolates were intended for women. Because of the company’s mistranslation and subsequent ad campaign, the Japanese thought women were supposed to give men chocolates instead. Happily for the candy companies, this became a tradition in Japan and to this day, women give chocolates to men on February 14th and a month later, men do the same for women. 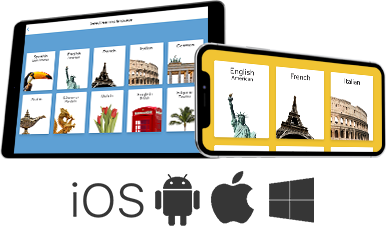 Translation tip:The ability to understand and interpret native speakers comes from not only understanding the language but also the culture and history of a country. DON’T trust the machines. There are subtleties of any language that won’t translate literally in Google and even modern-day artificial intelligence is not advanced enough to interpret nuance. DON’T rely on a word-for-word translation. As you’ll quickly observe, word order and sentence structure are different depending on the language and can greatly alter the meaning. A word-for-word translation will be, at best, inaccurate and at worst, embarrassing. DO mind your tone. While some slang words may be the most common usage of certain phrases, they may not be the most appropriate. Translating something relies not only on determining the best words to fit your meaning, but also figuring out the audience and setting. DO pay attention to gender. And by that we mean gendered nouns. Many languages do have them and are governed by different rules depending on the language. While it’s a common mistake among foreign speakers, it’s still one you should avoid. Don’t get lost in translation. Try Rosetta Stone now.